Libraries are vital assets to their communities! Huntsville-Madison County Public Library is one of the largest and busiest library systems in the state of Alabama. They are number one in circulation and program attendance across the state. Last year, over 2.1 million items were checked out at our 12 branches. Josh Allison is known for his vocal versatility in many genres of music. He and his wife, Judy, write and perform as a duo and with a band. They are currently working on writing and releasing new songs with a producer and YOUR SUPPORT of their music is very much appreciated! The League of Women Voters of the Tennessee Valley was recognized as one of Alabama’s newest Local League. In order to reach their goal to meet their expenses, including the Centennial Committee they partnered with Green Pea Press to create this campaign! In 2020 they will celebrate the 100th Anniversary of the birth of the United States’ League of Women Voters as well as the passage of the 19th Constitutional Amendment, granting women the right to vote. Be a Maverick! This campaign was created to help raise funds for the Maverick Training Center located in Huntsville, Alabama! This campaign was created to promote voters to go to the polls on November 6th, 2018 to vote for Democrats in Alabama! J.B. King wanted to ensure voters that Alabama was not a single-minded “red” state; instead, he promoted that Alabama is a state full of people with open hearts, open minds, and welcoming open arms. For this campaign the OkRandom Art Studi0 teamed with Green Pea Press to support local small business owners and their families. This t-shirt featured original art by David Jolley that was only offered for a limited time! All of the profits that were brought into the studio were donated to the family of one of the local small business owners who sacrifice so much for their families and the local communities. The Huntsville Ballet School uses the power of dance to inspire and nurture the art of classical ballet through artistic excellence, performance experiences, and educational outreach. This campaign helped support ongoing programs in the community through the purchase of Huntsville Ballet apparel. The Academy for Academics and Arts is a public fine arts magnet school in the Huntsville City Schools district. This campaign helped raise funds for the AAA choral program. This was a great success as all of the profits went directly to program costs, including but not limited to: all city choir, all state choir, show choir competitions, music purchases and accompaniment costs. Your city has a skyline, but our city has a spaceline! This campaign was the 3rd booster box for Geek Out HSV and also celebrated their 7th anniversary. Included in this box was a feature of the new shirt styles of the original hit, the Spaceline! Other items included in the box were swag for upcoming area events and local organizations, as well as some cool stuff from nearby nerdy entities. JB King is running to represent the people of Alabama House District 10, and ran this campaign for supporters to purchase t-shirts. This year's pride event was a HUGE success! Both the heat, and t-shirt sales hit record-breaking numbers. In addition to the 2018 RCP logo, we offered two original Green Pea Press designs, created by our amazing summer-intern, Abigail. We only had a week to promote online sales, but were able to print onsite, all day during the event. All funds raised will go to support next year's Rocket City Pride festival! This year, Huntsville's Worldwide Knit in Public Day 2018 tee featured fantastic artwork by Roo Kline. Who doesn't love alpacas and kitties?! Geek Out Huntsville came back in 2018 with their second Booster Box: Cinemagic! Still reeling from Infinity War, they felt a movie-themed Booster Box would provide emotional support and build anticipation for the rest of the summer slate. Collaborating with the likes of Wonder Mill Films, STEAM Works, Pixel Perfect, What's Popp'n, ConKasterborous, Dixie Derby Girls, and more, this sequel to the packed package of Huntsville geekery promised to please crowds and satisfy critics. In Spring 2018, the Grissom Fine Arts Department presented a theatrical production of Chitty Chitty Bang Bang! We designed three different shirts exclusively for the show, and they were such a hit that we took them online! Proceeds from all CCBB sales were given to support Grissom High School Fine Arts. In Spring 2018, Lee High School presented an incredible rendition of Disney's musical Tarzan, complete with elaborate sets and thrilling performances! We designed these tees exclusively for this event, and printed them on-site at opening night. Due to their popularity, we created an online campaign in order to meet the demands of Lee High School staff and families! Proceeds from the sale of these shirts were given back to the Lee High Theater department for use in future productions. This "Feisty Cake" is all about putting up a fight, especially when that fight is with something as ugly as cancer! Our Green Pea Press friend and Caking Girl, Annelise, drew and designed these t-shirts so she could use 100% of the profits from each sale to give to her grandmother, who is currently battling Stage 4 Cancer. Annelise and her family were able to help ease her grandmother's financial burden by providing enough money to cover a month's worth of treatment medications. Props to this super kid and her amazing creativity! The Liberal Ladies Lunch Group was formed on December 10, 2016 when Lisa Schrimsher and six other women gathered for lunch to commiserate about being Liberal Ladies in the very red state of Alabama. From 7 women, they have grown into a powerful force of 901 ladies, representing a diverse, progressive, fun loving, compassionate haven for Liberal Ladies in North Alabama and beyond! This simple logo expresses the positive energy of our feminist group in Alabama and we are excited to have it on a tshirt. Get your hats on, Huntsville! The Women of Alabama and our Allies are ready to make history once more in 2018. Come together with us on Jan 20, 2018, for a day of celebration, solidarity, and action!Funds raised from the sale of these commemorative shirts will go toward organizing costs for the National Women's March to the Polls - Huntsville. Any amount left over will be donated to the ACLU. If you have seen my YouTube channel, then you now have a way to show support by rocking this tee shirt. If you haven’t seen what I’ve been doing, then let me explain. I have a huge passion for cars from driving them, to modifying them. And what I’ve started doing is creating things for my car that I’ve always wanted. My viewers have enjoyed watching me build my dream body kit, and I have many more ideas. So in order to continue showing people how and what I make, I am offering this tee shirt. All the proceeds will go directly into supporting the channel and myself to continue to provide content for everyone. The sale of these shirts support a team of short-term missionaries who will be traveling to Migori, Kenya in the summer of 2018. While in Africa, the team will be visiting schools in the village of Awendo. Thru the sale of these shirts they plan to purchase school supplies, a copier and overhead projector for the teachers, as well as a hand washing station for the students. Hey, y'all! You can embrace your nerdiness with the first Geek Out Huntsville Booster Box! Inspired by what all makes Huntsville geeky, now is your chance to order a kit for you, a loved one, or your neighbor nerd. Inside the box, you will find a "Y'all" t-shirt made by Green Pea Press, a full Super Hack Override game from local game designers Weird Giraffe Games, astronaut ice cream from the Space & Rocket Center, and more! $1 from each Booster Box sold will go to the Space & Rocket Center. 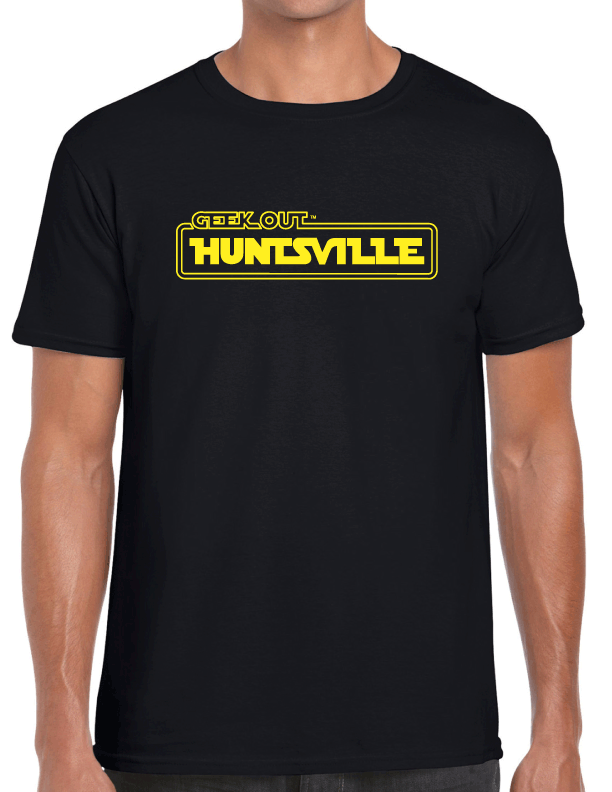 Support our cause and help us at Geek Out Huntsville! The Montessori School of Huntsville educates children to prepare them for a life of purpose, integrity, and academic accomplishment. We develop independent learners, critical thinkers, and tomorrow's leaders. Dr. Maria Montessori said that "establishing lasting peace is the work of education" and that "within the child lies the fate of the future." Rise Raptor Project, a 501(c)(3) non-profit based in North Alabama, was founded for the purpose of teaching principles of good stewardship, sound science, conservation, history and culture. Raptors (birds of prey) provide a unique way to communicate these principles that is memorable and meaningful. We are undertaking our first major expansion to build facilities for birds to join our program. This shirt features Maximus, our Eurasian Eagle Owl. All proceeds will be used to build the new facilities. At Movement Church we are committed to moving you into a more fulfilling relationship with God and with others. Our shirts supply the Movement logo, making it easy to spot in our community. Our goal is not to raise money, but our people want to support the Movement Church vision by spreading the good word of Jesus. By simply wearing a t shirt, you can support Movement Church and let others know that you are a present help and hope to those you may meet throughout your day. To learn more about Movement Church, our pastors, and even watch our live-streamed services, please visit http://www.movementalabama.com! We are a local family farm who conserves rare breed Kunekune pigs and Guernsey goats, both of which were on the endangered or critical watch lists not too long ago. We also offer opportunities for other homeschool families (adult and child classes available) to join us on the farm for herbal education, hands on experience in organic permaculture gardening, natural animal husbandry, etc. Our t-shirts will help us raise money to keep pressing forward to realize our dreams of bringing local communities together to re-learn forgotten ways and to preserve two awesome breeds of farm animals. Leia and Wicket sharing a peaceful moment looking over the Ewok Village of Endor. “Endor with a View” was the illustration that started it all for Melly Luna Designs (MLD). It has remained a signature piece for this small local business. MLD is so excited to partner with Green Pea Press for a unique opportunity to offer apparel and accessories while also supporting local printmakers. Small businesses thrive on collaboration to bring products to the community that otherwise might not be available. Never before, has “Endor with a View” been available in different shirt styles and on a tote bag! Your purchase and support helps small businesses continue to thrive in Huntsville! G's Country Kitchen believes love triumphs over hate. While there is so much hate in our society today, we need to rise up and love each other. These shirts are a way to remind ourselves to show love in the midst of hatred and hurt. A percentage of every shirt sold will go towards the individuals hurt in the Charlottesville, Virginia attack. This little mermaid made her debut in the Green Pea Press handprinted calendar on the month of May in 2015. She is a southern mermaid- feeding pearls or maybe even hush puppies to the curious catfish. Get your official swag for SPIN 2017 (Worldwide Spin in Public Day), a free event for spinners, weavers, and anyone else who enjoys working with fiber. Come join your hosts, Roo Kline and Amy Shelton of SPARKLE Studio, on Saturday, September 16, from 11 am to 4 pm in the Flying Monkey Theater on the 2nd Floor of Lowe Mill ARTS & Entertainment. You know you're going to want one of our special t-shirts and tote bags specially designed by Roo to remember this event. Or, like us, you're going to want one of each! Recently I learned that DeRay Davis, an actor/comedian in the movie, Semi-Pro is coming to Stand Up Live in Huntsville, AL September 29th. So, I re-watched Semi-Pro and loved this quote & thought it'd be a great shirt! It's such a good reminder of what to do & how to be in any day & age! We all deserve love!No matter your skin color, hair color, eye color, or your nail color...No matter your gender, the gender you identify with, or the gender you go home to...No matter your religious beliefs or if you are a non-believer...No matter your residence (country, city or dwelling), your age, your job, your car, or your bank account.Sometimes it's hard to get along with everyone in my own household all the time, but we make an effort and really try, because we love each other! And, that is what we need to practice with strangers and enemies. The Montessori School of Huntsville educates children to prepare them for a life of purpose, integrity, and academic accomplishment. We develop independent learners, critical thinkers, and tomorrow’s leaders. Dr. Maria Montessori said that “establishing lasting peace is the work of education" and that “within the child lies the fate of the future.” Proceeds from sales of our Teach Peace t-shirts will go to The Montessori School of Huntsville's Kathy O'Reilly Memorial Scholarship Fund in honor of her commitment to peace education. This scholarship benefits children who would not otherwise be able to attend MSH. Hey Grissom High School class of 1987, our 30 year reunion is just around the corner. We are selling these shirts to remember those days thirty years ago. Each shirt sold will be used to raise money for our upcoming class reunion. Order your shirts now and pick them up at Green Pea Press’ location at Lowe Mill the day of the reunion. We've all come a long way since the "spoiled rich kids" Video Dave wrote about, haven't we? A campaign used to showcase, promote, and support local singer-songwriters, we at Listen Local can fundamentally transform the live listening entertainment culture of Huntsville, AL. Green Pea Press was excited to host Listen Local Huntsville at no better fit than Tangled String Studios. Unfortunately, there was no space for a t-shirt press, so we ran this t-shirt campaign with Green Pea Press to continue offering LLH tees. Your purchase of a LLH tee was another way to show your support to local music and help us continue hosting shows with your favorite local musicians. 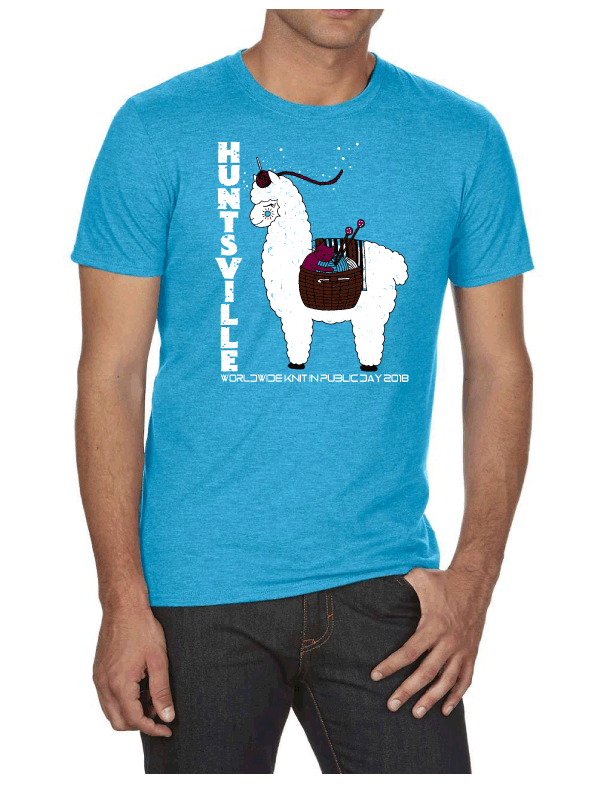 We reached our goal and are excited to see the Huntsville community wearing the LLH tees.